Have you started decorating for Autumn or Halloween yet? Halloween is creeping up quickly so now is a good time to make some painted decorations to display around your home to porch for those Trick or Treaters! 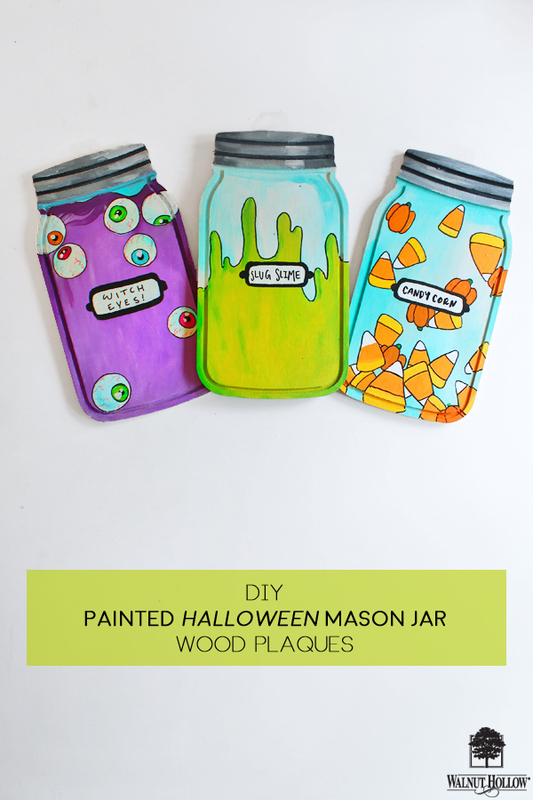 Today I’ll be showing you how to make some really cute Painted Halloween Mason Jar Wood Plaques! The fun thing about these Mason Jar Shapes is that they’re veined on one side, and smooth on the other. So you can use either side and you can fill them with whatever you want. And with it being Halloween, you can go for cute candy corns or creepy eyeballs! Play around with your designs and decide what you want. I chose a variety of designs for my jars. 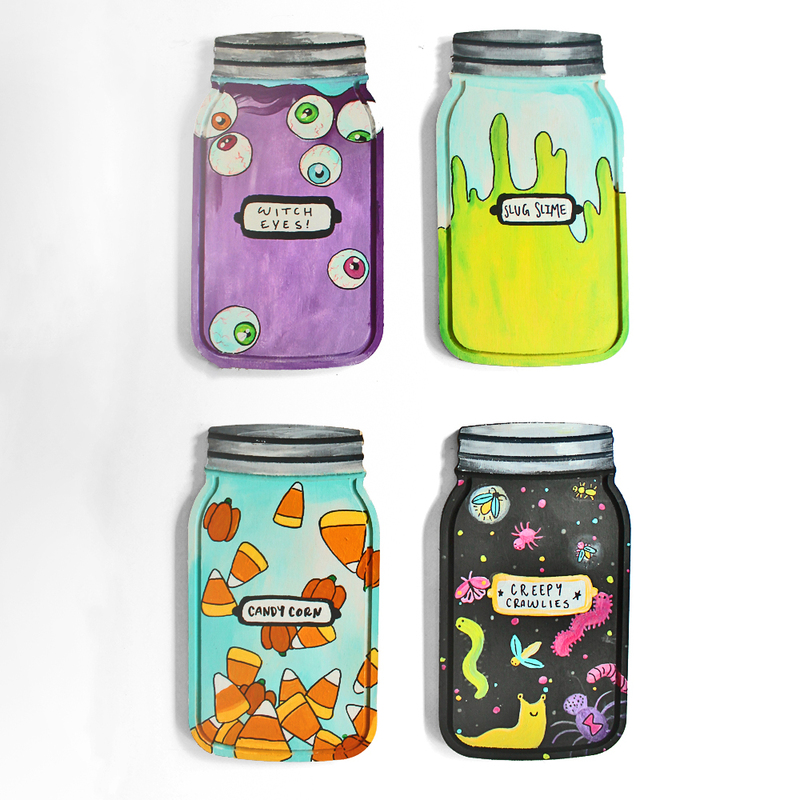 Sketch your design onto the jar with a pencil. For the Slug Slime jar, just draw drips across the jar. 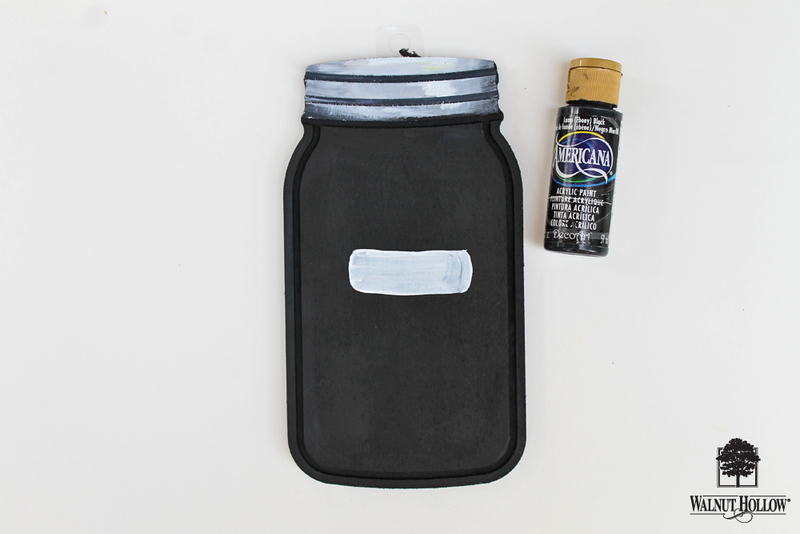 Fill in the top of the jar with a mix of white and light blue acrylic paint. 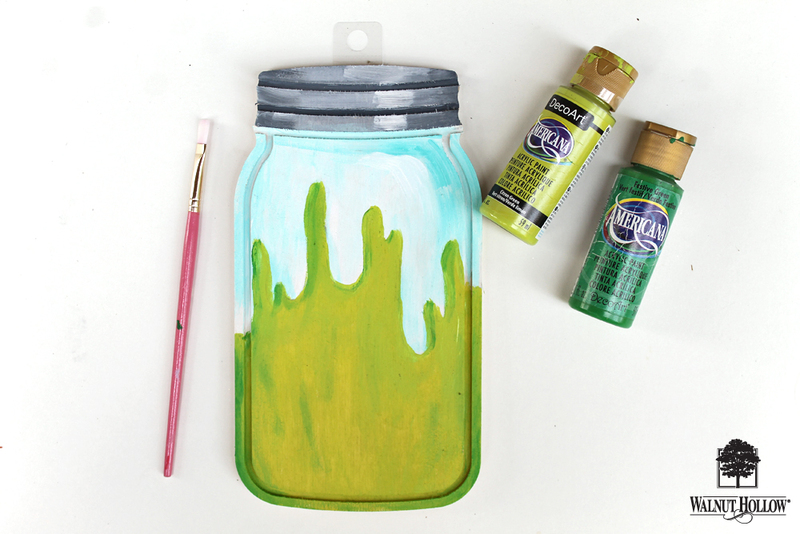 Paint in the slime, and paint the lid of the mason jar. 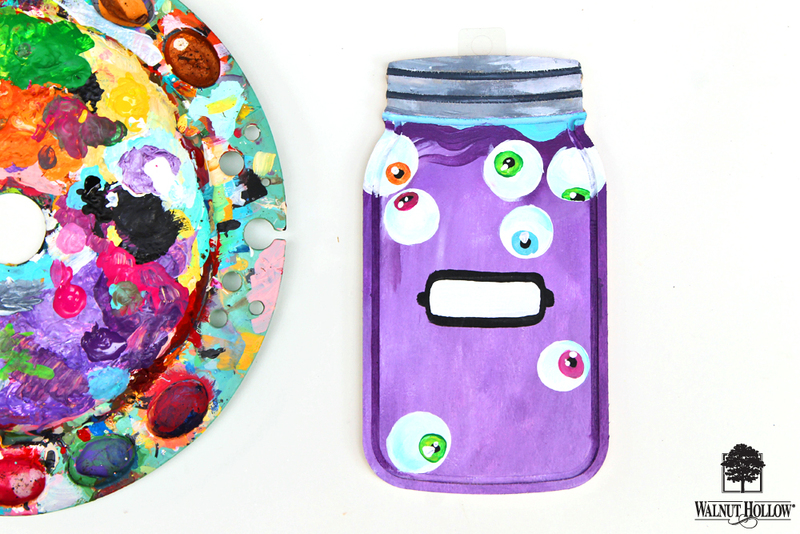 It’s handy to have a paint palette to mix paints on, so that your slime isn’t one solid color and you can mix paints to give your jar depth. 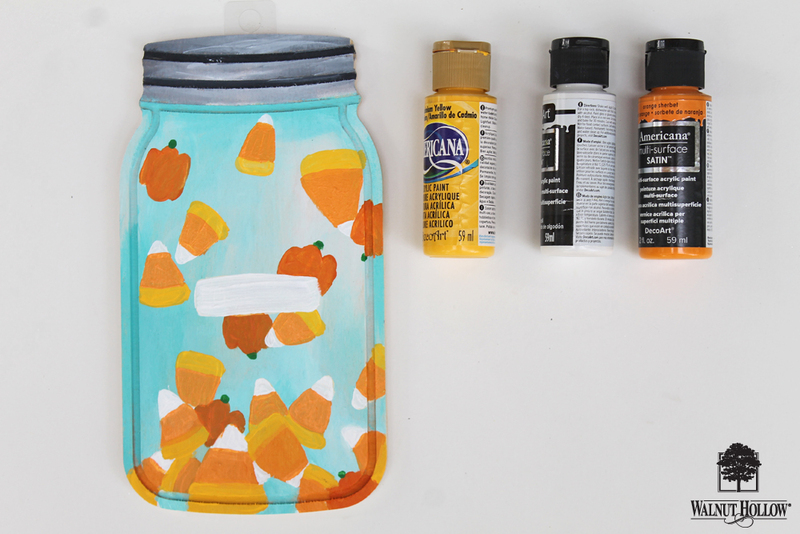 You can paint a candy corn jar by painting striped triangles with yellow, orange, and white. Or a glowing bug jar! 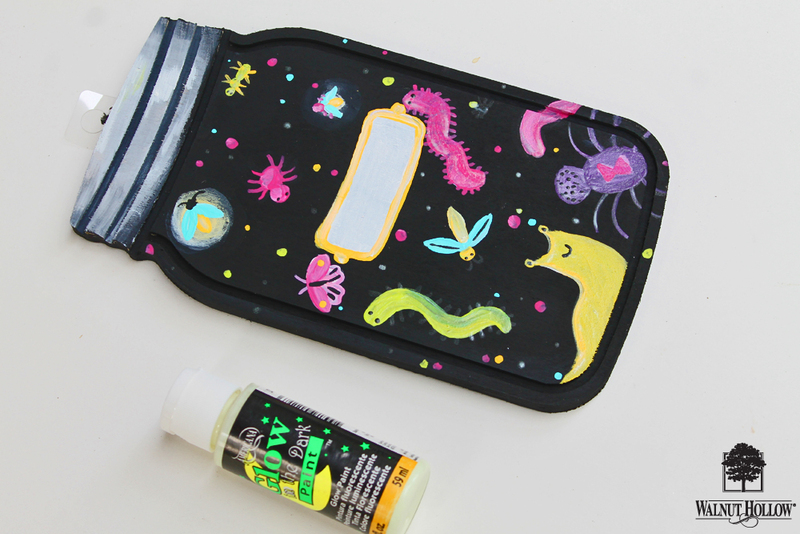 After painting the jar and bugs in acrylic paint, use a small brush and Glow in the Dark paint to do over some of the details! 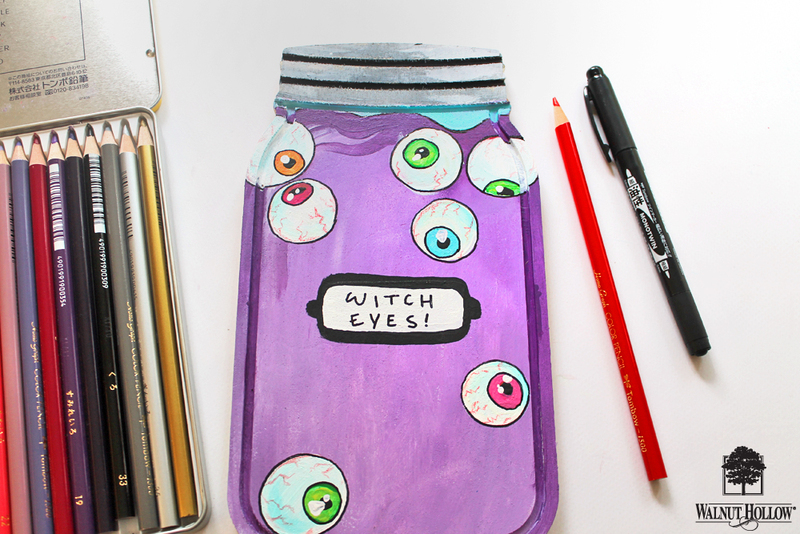 For the eye jar, paint floating white circles, and give them pupils. To finish my jars, I used a MONO Twin Permanent Marker to outline my paintings and write in the painted “labels”, and used the Colored Pencils to add shadows and details (like the veins on the eyes) to some of the paintings! 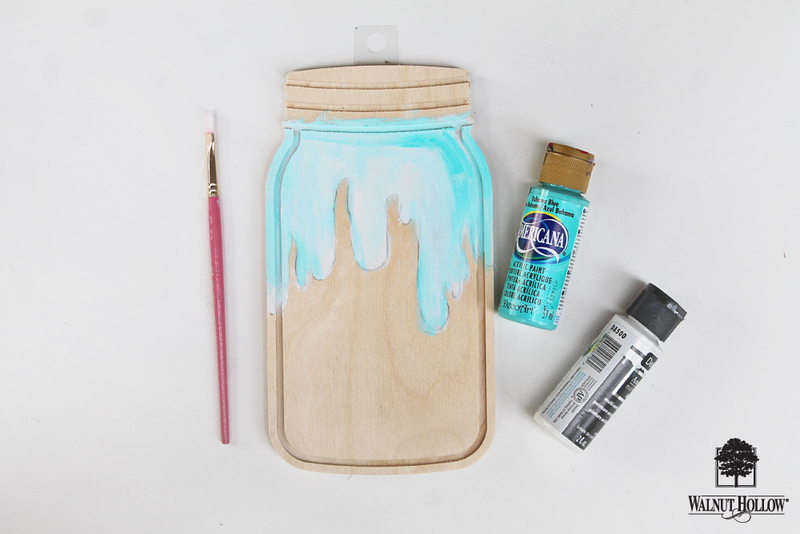 Once they’re dry, you can prop them up on your porch, or attach sawtooth hangers to the back of the mason jars to hang them around your home! 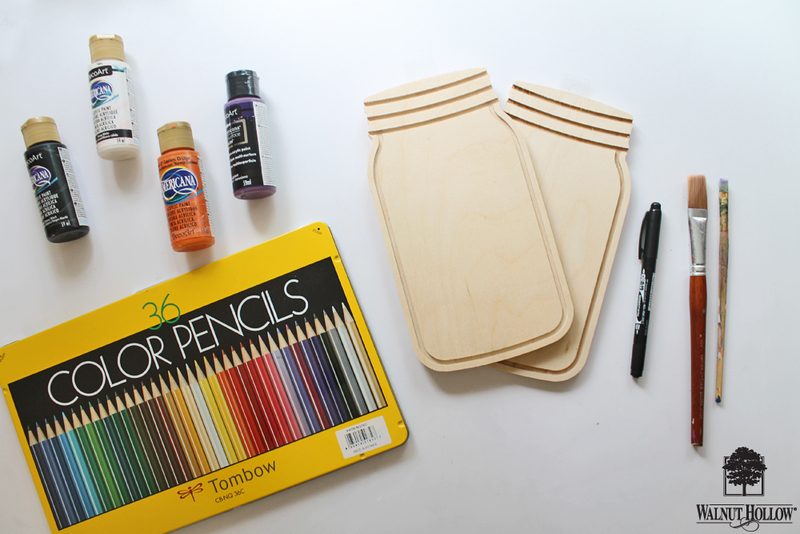 Remember to stop by the Walnut Hollow Instagram and Pinterest for even more crafty ideas!